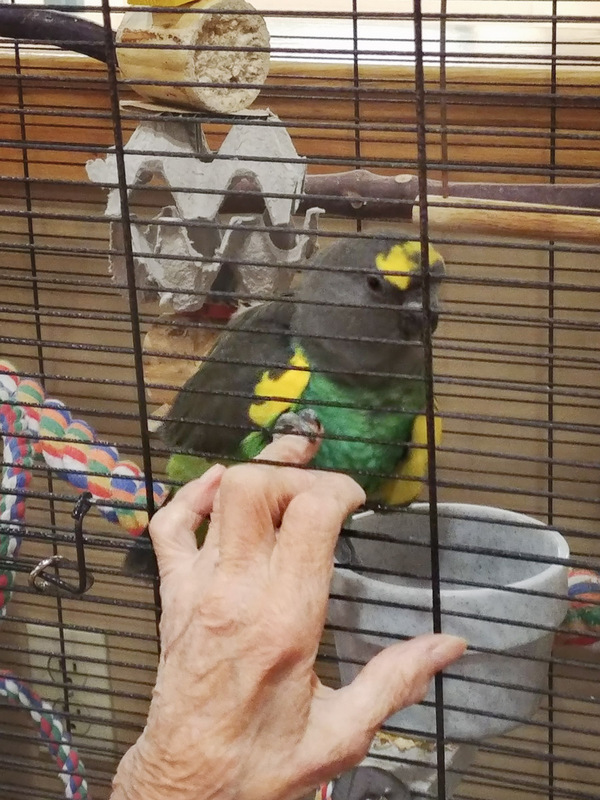 This beautiful boy is Stevie, a Meyers parrot and one of the birds I help care for at my mom’s personal care home. Stevie is quite the character but not always the friendliest fellow. Much to everyone’s surprise, he and this one elder share a very special bond. She will come in her wheelchair and sit quietly by his cage resting her hand on his cage, her fingers reaching in. Stevie will come and sit next to her hand and will gently place a talon on one of her fingers. There they both will sit and enjoy each others company. What they share is simple, honest and very special.